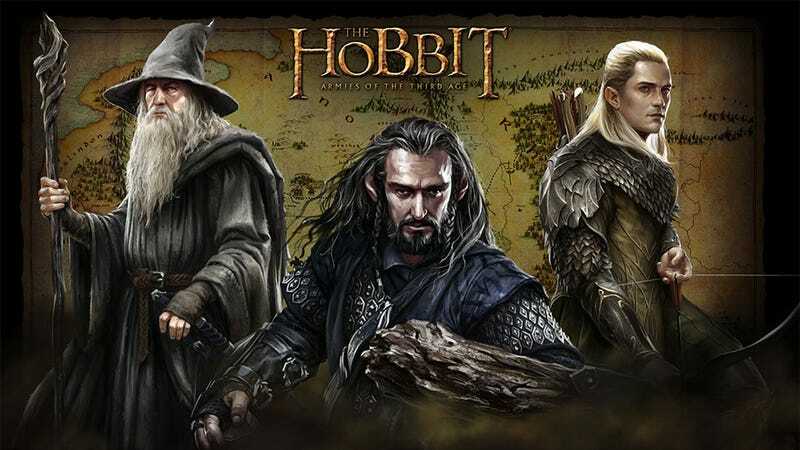 As the geek cinema event of the year slowly approaches, Warner Brothers Interactive Entertainment teams with Kabam to create a pair of social strategy games loosely tied to Bilbo's epic journey. I say loosely tied because I don't recall Bilbo creating and managing his own fantasy kingdom as players will do in The Hobbit: Kingdoms of Middle-Earth for mobile phones. Nor did he, and mind you it's been awhile since I read the book, take command of a large army as players will in the browser-based The Hobbit: Armies of the Third Age. There were armies, of course, but just that one major battle. I am assuming there will be more than that in the browser game, which will feature Bilbo and Gandalf the Off-White as champions amidst the armies of Dwarves, Elves and Man. Both Hobbit tie-ins are due to launch this fall. Interested parties can sign up for The Hobbit: Armies of the Third Age beta right now.